Traveling is incredibly fun — but for some, the process of getting from one place to another (and back again!) is outrageously difficult. If you regularly find yourself enraged by the act of packing and flying, we have some smart solutions to make your travel experience dramatically less infuriating. Try out any of these hacks on your next trip to Niagara, and you’ll be sure to have a great time from your first unzipped suitcase to your last glimpse of the falls. Veteran travelers are well-aware of how much space you can save by rolling up your clothing into tight cylinders instead of folding them like normal. Plus, rolling usually decreases other common travel issues, like wrinkles and static. Most travelers don’t bother with laundry while they’re away, but throwing a few dryer sheets in your suitcase will prevent your clothes from developing a musty, stale smell. After your trip, dryer sheets can also stop dirty clothes from stinking up fresh ones. If you forget a dryer sheet, you can also use the complimentary bar soap from your Niagara Falls hotel. Leggings. Simple black (or gray or colored) leggings are comfortable during transit, feel warm under dresses and skirts, and can even be worn during workouts. Color sticks. Instead of packing lipstick, eyeshadow, brightener, blush, and your usual bevy of other makeup products, opt for a multi-use color stick that does all that work with one product. Binder clips. These office tools are essential for travel; they can keep your razor heads covered and sharp, your wires and cords nicely wrapped, and more. Most airlines are continuing to restrict the goodies you get in-flight, which means you might not even get enough water to slake your thirst in transit. 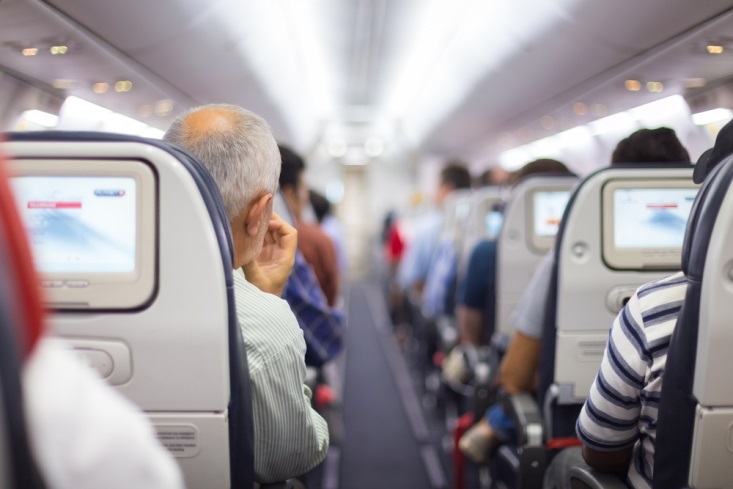 You can bring an empty water bottle through security, fill it up in your terminal, and top it off every time a flight attendant comes around to ensure you are properly hydrated. As a bonus, you’ll have a water bottle available throughout your trip. For a more rejuvenating drink, you can add honey and a lemon wedge to a thermos and ask the flight attendants to add hot water. Alternatively, you can bring your own tea bag. Even if you feel confident in your ability to entertain yourself offline, having access to the Internet while you travel is a worthwhile luxury. While you are trapped on the plane, you can get a last bit of work done, and when you are enjoying your trip, you can discover nearby attractions and events you otherwise might have missed. Often, a bad mood can be drastically improved by a small bite to eat. Instead of wasting time at a restaurant, you can pick up small snacks, like fresh fruit and water, at a grocery or convenience store near your hotel. Then, you can keep going all day, seeing all that Niagara Falls has to offer.